Pelynt FC has been charged by the Duchy League of fielding a team that included an ineligible player against Grampound in our league fixture of 23rd March. 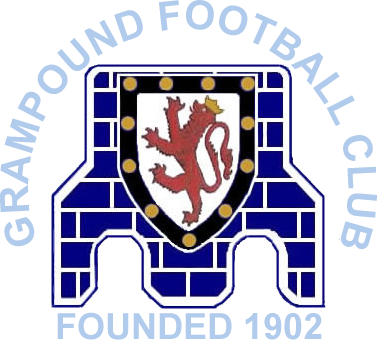 If proven, Grampound should receive the 3 points instead of Pelynt who will also receive a penalty of a 3 points deduction and, possibly, a fine too. All our Duchy League fixtures for the season have been published and can be viewed on the team pages. Our final game of the season is on 7th April. Midfielder Dan Smith has re-joined Grampound after a spell at Roche. We hope that he again enjoys his time with us. A comprehensive 7-1 win for the Secretary's team was the result of the traditional Christmas fixture against the Chairman's team. January fixtures have been published. The Veterans have been drawn away to Saltash or Downderry in the Supplementary Cup semi-final, the tie to be played on 24th March. The Veterans broke the club's abysmal record in penalty shoot-outs when the team actually won one at Halsetown in the Veterans Supplementary Cup. The score was 1-1 at full-time and we won 3-2 on penalties, but not without a few shaky moments! A good number of club members, past and present, attended the funeral of Roger Paynter at St Crida'a church at Creed, Grampound which was packed with his relatives and friends. The service included a moving eulogy from his son Chris, who followed in his father's footsteps and is a significant character at the club, playing into his forties and becoming chairman and later a vice-president at the club. Even though Chris now lives and works in the USA, he maintains an active interest in the club. Roger Paynter, club stalwart for 60+ years, has sadly pased away. Roger was, at various times, a player, club secretary, club chairman and club president and club linesman well into his seventies. Even in the mostly ceremonial role of president he was an active member of the club. Many players, past and present, have expressed their sadness and have asked how the club can respond. First of all, our matches on Saturday 24th and Sunday 25th November have been postponed. A fitting memorial will be considered in the coming weeks. The Veterans League has rearranged some fixtures, including the Supplementary Cup tie against Halsetown which will now take place on Sunday 9th December. The new dates can be seen on the Veterans Fixtures page. The Veterans have been drawn away to Halsetown in the Supplementary Cup, the tie to be played on 25th November. The club website has had a re-design and now takes into account those accessing it using a mobile device.